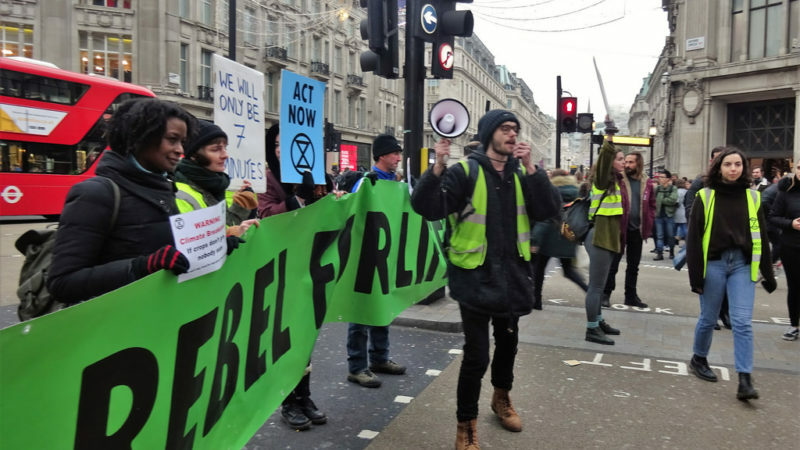 Over the last few days, climate change campaigners from the Extinction Rebellion group have been protesting across the world. The group says there is a climate emergency and that governments need to aim to reduce greenhouse gas emissions to net zero by 2025. In March, the group wrote an article for Left Foot Forward claiming that their ‘spring uprising’ was going to make the government sit up and listen. In the UK, politicians like Labour’s John McDonnell and the Green Party’s Caroline Lucas have offered their support. As these tweets show though, the Extinction Rebellion movement has grown far beyond the UK – with protests taking place in countries like Australia, the USA, Germany, Turkey, India, Denmark and Canada.